In a previous post (see “Letters from Pharaoh’s Land, Part I,” December 1, 2015), I outlined a brief history of tourism on the Nile River in the late nineteenth-century and indicated that Dr. Freeman Allen, future husband of Mary Ethel Gibson, took a cruise there in 1895. 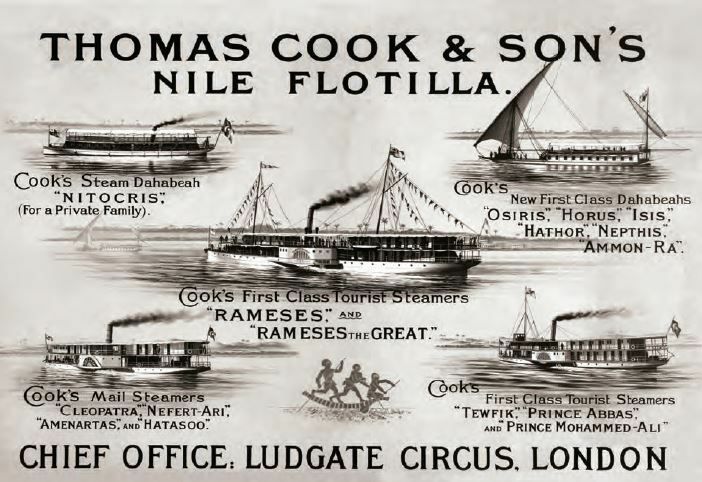 By the late decades of the nineteenth-century, American and European tourists regularly vacationed in Egypt, staying in luxurious hotels, visiting local markets, exploring archaeological sites, and—thanks to the services of businesses like Thomas Cook and Sons and the Thewfikieh Nile Navigation Company—cruising the Nile River. 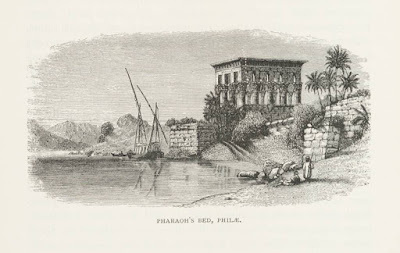 In this, the second part of a two-part post on Nile River cruises, we discuss Dr. Allen’s 1895 cruise—adding a more personal dimension to our story of late-nineteenth-century Egyptian tourism. Starting out from Cairo on January 22, Dr. Allen travelled up the Nile on board the S.S. Memphis, a steamship with a carrying capacity of forty passengers. For the next three weeks, he and his fellow passengers divided their time between the activities available on ship and exploring local sites of historical interest. “You go up the Nile on a steamer with about 40 people and stop every day to take long donkey or camel rides to examine the magnificent ruins of temples . . . which are very frequent along the banks,” he wrote to Mary Ethel late into his trip. In his letters, Dr. Allen devoted a few lines to describing the other passengers. While there was a “very nice and congenial crowd aboard this boat,” he lamented that there were “too many old maids. They are by far the majority.” But among the “nice and congenial crowd” there were several young girls, a “sporty[,] young” married couple with a boy, and the two Martin sisters, who were rather “intellectual.” Apparently the two sisters fancied themselves archaeologists, for they often spent “entire afternoon[s] deciphering the hieroglyphics on the columns” of various sites. From his letters, it appears Dr. Allen got along well with the young married couple and the Martin sisters. They would visit local ruins together, ride along the river together, and pass the nights together on deck. “One night the Misses Martin and the young married people and I sat up late talking and had a bully time. The young married lady smoked the festive cigarette, which scandalized the highly erudite Misses Martin.” Although Dr. Allen doesn’t explain what made the cigarette so “festive,” an earlier reference suggests it might have been hashish. He seemed particularly amused by the young married woman. They often gossiped together during the trip. “She would talk like a machine when she got going.” But it was her preference for the chaise à porteur—a sedan chair—over donkey rides that most amused him. Rather than ride a donkey to that day’s attraction, as the other passengers did, she was carried in her chaise à porteur by four Arab men. 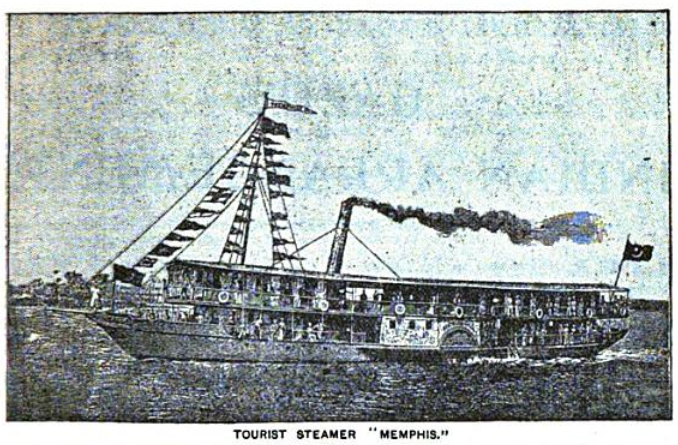 S.S. Memphis: "Gaze's Nile Tours: Winter 1895 and Spring 1896," Gaze's Tourists Gazette 8, no. 2 (December 1895), p. 67. Freeman Allen to Mary Ethel Gibson, letters, January--February 1895. 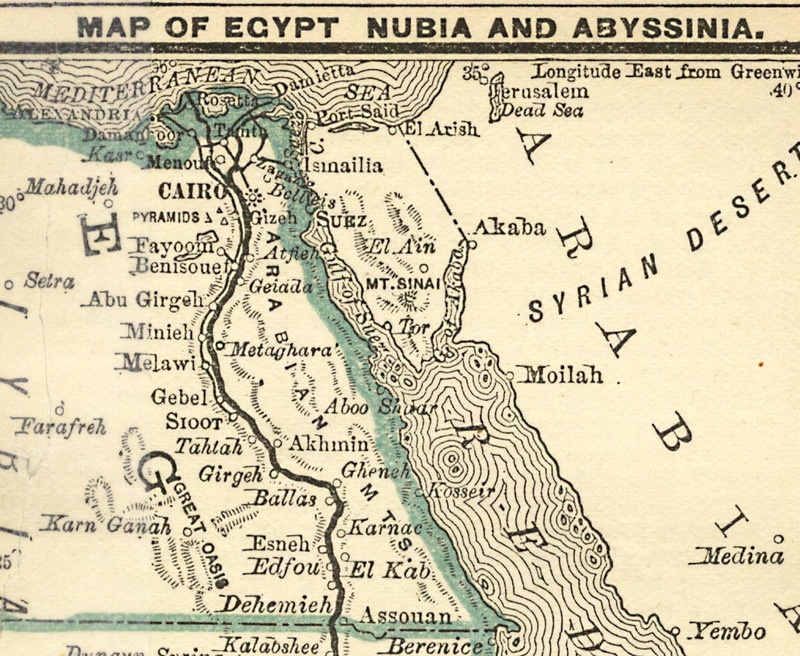 "Gaze's Nile Tours: Winter 1895 and Spring 1896," Gaze's Tourists Gazette 8, no. 2 (December 1895), pp. 64--67. 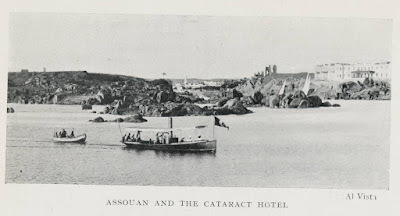 Twenty-one Days’ Trip from Cairo to First Cataract and Back, including the various Excursions as specified in the Itinerary, inclusive of Philae, donkeys (where required) to places visited on the river bank, provisions (wine excepted), and all the advantages in the Programme; FIRST-CLASS THROUGHOUT. 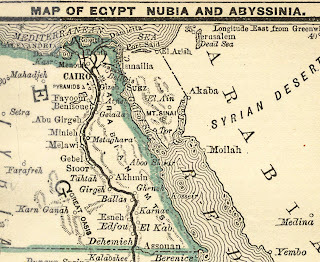 The above text, from an advertisement for the Thewfikieh Nile Navigation Company, appeared in the December 1895 edition of Gaze’s Tourists Gazette, the official publication of Henry Gaze and Sons, Ltd, a London travel agency. As the sole booking agent for the Thewfikieh Co., H. Gaze and Sons often advertised for the company, which provided tourist services on the Nile River. The same advertisement from which the above text is excerpted also outlined other important information, including price and the carrying capacity of the company’s fleet of steamships. In 1895, for the price of $171.50, a tourist could book passage on a steamship and spend three weeks on the Nile, soaking in the natural landscape and studying all the ancient ruins alongside the river. Through late January and early February 1895, Dr. Freeman Allen, future husband of Mary Ethel Gibson, booked passage on the S.S. Memphis of the Thewfikieh Co. and took the same three-week trip on the Nile as advertised in Gaze’s Tourists Gazette. 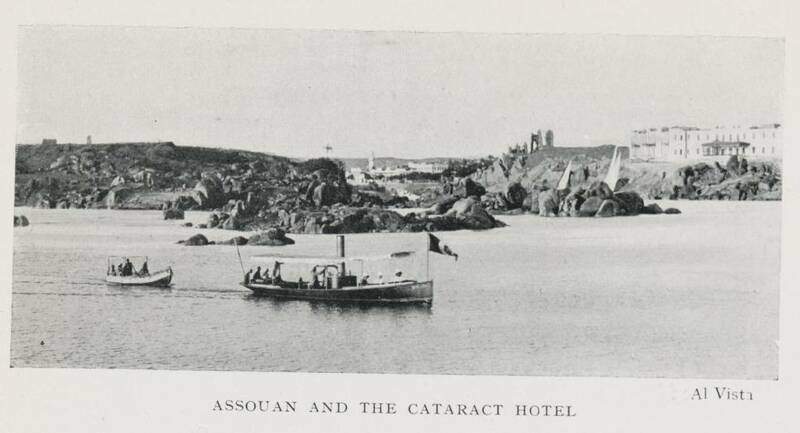 Departing from Cairo, the doctor sailed for Aswan at the first cataract in southern Egypt. Along the way, he traveled by donkey to explore all the principal archeological sites between Cairo and Aswan. 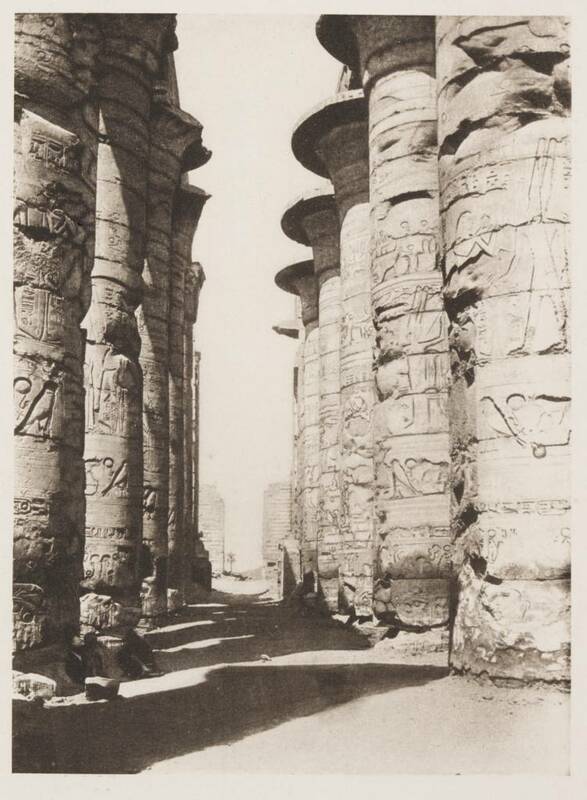 These included the Karnak temple complex at Luxor and the Temple of Isis on the island of Philae. And he also got acquainted with a few of the tourists on board. The details of Freeman Allen's trip and his impression of Egypt and his fellow travelers are recorded in letters to Mary Ethel Gibson written during his stay in Egypt. These letters not only provide us with a glimpse into the doctor’s personal impressions of the country, its history, and its tourists, but also provide a window into the fascinating history of Egyptian tourism in the late nineteenth-century—particularly travel on the Nile River, a booming enterprise with several prominent companies competing for customers. Until the late nineteenth-century, the only way to travel on the Nile River was by dahabiya, a large, slow-moving sailing vessel. Typically, only wealthy individuals could afford to travel this way, taking leisurely three-month cruises on the river. There were no tourist agencies in Egypt to commission ships, provide accommodations, or supply the crews necessary to pilot the boats. So only those individuals with the funds and connections needed to organize these cruises could go on them. 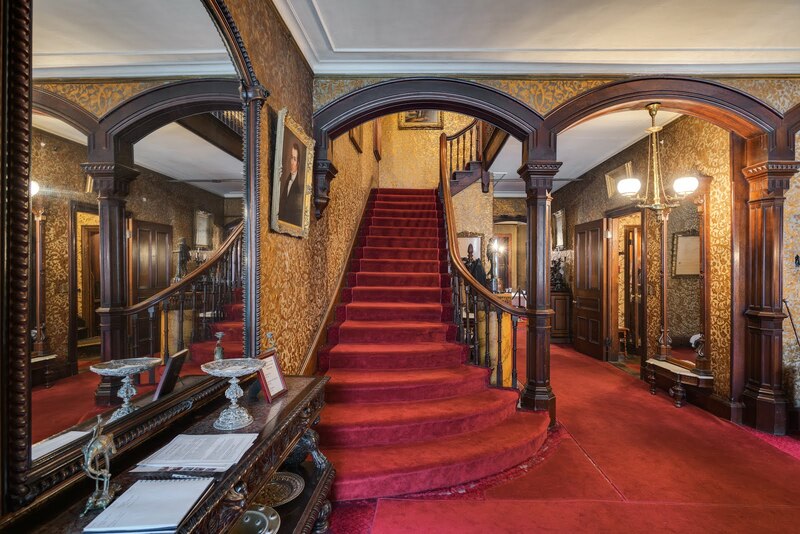 However, this changed in the 1870s when businessman Thomas Cook introduced his fleet of steamships to the Nile cruise industry, significantly shortening the trip and cutting its cost. Soon similar companies, like the Thewfikieh Company, began to offer cruises of their own. Now what was once only available to the wealthy was open to the rising middle classes of Europe and North America, who increasingly found themselves with the disposable income and the leisure time necessary to go on long-distance vacations. By 1895, the tourism industry in Egypt had been well established, so when Dr. Allen embarked on his Nile cruise he entered an already existing world of middle- and upper-class American and European tourists seeking exotic locales to spend their newfound leisure time. In our next post, we will consider Dr. Allen’s experience on the Nile in greater detail, traveling with him as he explores Egypt’s ancient history and socializes with fellow tourists aboard the S.S. Memphis. Freeman Allen to Mary Ethel Gibson, letters, January-February, 1895. F. Robert Hunter, "Tourism and Empire: The Thomas Cook and Son Enterprise on the Nile, 1868-1914," Middle Eastern Studies 40, no. 5 (2004), pp. 28-54 via JSTOR. "The Nile Cruise, 1847 and 1897," from Travelers in the Middle East Archive (TIMEA), Rice University. www.timea.rice.edu/NileCruise.html. Accessed November 10, 2015.